To set itself apart from other SUVs, The Expedition was built with an independent rear suspension. Not only does this increase handling, but also provides passengers with additional head and leg room. 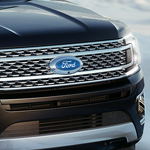 These are just a couple of features standard on the 2018 Ford Expedition. We invite you to visit our team here in Kansas City so that you can see some of the other available features and test drive an Expedition for yourself.